Whether you have just come out of hospital or are on the mend from a period of illness, it’s sometimes nice to have another person living in the house with you. These Live-In carers might be short term, expecting to leave you as soon as you are well. That’s fine by us, just as long as we leave you hale and hearty. If you are going into hospital for elective work then it might be wiser to start talking to us now, before you go in, so that we are there to help you immediately you leave or as soon as the hospital transport drops you off at home if that’s how you’re getting back. If you anticipate regular visits and thus regular live-in care requirements then we can arrange that too. We will try to be as flexible as you need us to be. 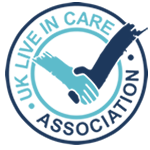 If you think Convalescent care is a service you would like to discuss please call us now on 0333 355 3126.